Therein lies the difference between this newly-minted AVA, and recent entries such as Lake Chelan and Naches Heights. Though both of those newcomers have vineyards planted, they are new vineyards just now entering a time when wines grown and made there can be evaluated for both quality and character. Ancient Lakes has more history, more vineyard, and more clearcut terroir – at least at this point in time. The marketing value of an AVA designation is always debatable, and many wineries even today choose to ignore using some of the lesser-known AVAs on their labels, though they are entitled to do so. But Ancient Lakes, apart from its viticultural assets, possesses a memorable name and at least a few well-established growers and wineries. It’s a welcome addition to the state’s growing legion of distinct and distinctive grape-growing regions. What is that direction? Well, it’s easy to surmise that it has a lot to do with defining a viable regional identity, and marketing that identity to customers around the world. 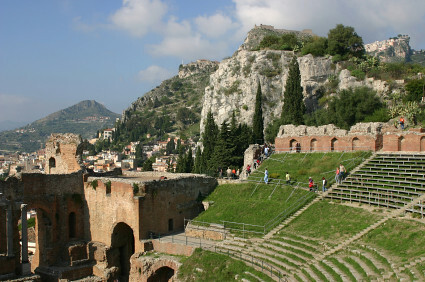 Sicily, by all accounts, has made tremendous strides in its production of quality wines. I’ve tasted quite a few that were very impressive. The region is at the top of my personal bucket list of places to visit on my next European travels. As with the Ancient Lakes, this is one denomination that makes especially good sense. You write:"The Columbia river, at one of its most spectacular passages, defines the western edge. Both southern and northern boundaries are ridges of hills, folds in the earth, caused by tectonic movement in Oregon. These ridges run east/west and occur in sequence throughout much of eastern Washington." Anon, a perfectly straight line is not uncommon when defining AVAs. It can be a simple matter of finding a place of agreement among all the different interested parties. I was not involved in developing the Ancient Lakes proposal, but perhaps someone familiar with that process can answer your question.